Some voices have color, a distinct hay. If death were to have a voice, I presume it would be blue, with a tinge of gray on the borders. When death speaks in his solemn voice, we ought to heed well to it. That is the truest voice we hear in all our life. It is true, absolute and unmoved by those who hear it. Death is the narrator of this story. It is not a cruel voice, not even furious. If anything, it is a voice of infinite calm, almost serene, although tired at times. Death for Markus Zusak is Conrad’s Marlow. It is the story –teller, and also a participant in the story. 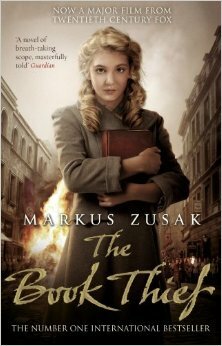 The Book Thief is a story written in the backdrop of second-world war, in Nazi Germany. It goes exceptional talent of Markus Zusak that he so delicately creates the world of a small German Town, in the throes of the volatile, history defining times. It was a time of sadness and violence, of dying men and women, of hope in the testing times. Such are the times when the goodness and evil, both reach their loftiest and the most grotesque proportions. It is almost unbelievable that Markus Zusak is an Australian writer who was born in 1975. It is pretty common for authors with MBA to write stories on the backdrop of their colleges and from Bengal to write one heavy with Bengali nuances. To be raised in Australia, four decades after the World war, having written such a lovely book, speaks well of the enormous talent of the writer. Even a rare possibility of author’s mother, Lisa being Liesel Meminger, doesn’t take the credit away. This is not a political novel, this is not the story of war, and this is not even a story about death. This is a story in world of decrepit desperation. This is a story about hope, about life, about the power of written words. This is the story of Liesel Meminger, orphaned. It is written in, well, a different style than all that I have ever read. The language is poetic, even though sentences are not long-winding. The style looks like a journal. It opens in the year 1930 in a train. This is where she loses her little brother and meets death for the first time- a girl of nine. She doesn’t speak good German, doesn’t read. She is a little girl with sketchy schooling. She is on her way to join her foster parents, in the middle of a brutal European winters. The war is looming, Hitler’s armies, official and unofficial are everywhere. She reaches Himmel Street with a book- The Gravedigger’s Handbook in his hand. She meets the kindest man she has ever know, kind and righteous. Hans Hubermann, her foster father is as the writer tells us, an un-special person who had the ability to appear in the background, even if he was standing at the front of the queue. He was always just there. For an adult this could mean nothing, for as we know, for a child, this is one very important thing- the quiet certitude of the presence of the parents. Hans Hubermann had eyes that were made of kindness, and silver. Like soft silver, melting. And Liesel Meminger understood that Hans Hubermann was worth a lot. We discover in later pages the kindness, the righteousness, the humanness of the man which makes him so likeable, so special, in spite of ordinariness with which he is introduced in the story. For Liesel, in the throes of grief of losing her family, reeling under sudden shock of profanities she has just encountered in the person of her Foster mother, Rosa Hubermann, foul-mouthed woman, she knew as Hans Hubermann winks at her, that she would have no trouble calling him Papa. Isn’t that what fathers are, silent, benevolent presence, with a sense of quiet about them? This is what Markus calls his thereness. The girl knew from the outset that he’d always appear mid-scream, and he would not leave. Liesel, the orphaned girl troubled with the nightmares about her brother’s death needed that. Liesel turns ten holding that little book which connected her to the world she had left behind. As was the convention, she becomes Hiter Youth, and joins the junior division of BDM. The book doesn’t make political statement, it is not shrill in the voice. It tells the facts as they must have been and leaves it to the reader to judge. It tells us about the ten year olds being taught to get their Heil Hitler..working properly. ..taught to march straight, roll bandages and sew up clothes. Liesel by this time has settled into childhood in her new foster home, helping Rosa with her laundry, collecting and delivering the clothes in the town. This is when she meets the affable and naughty friend of hers, Rudy Steiner, the next door boy obsessed with Americal athlete, Jesse Owens. They meet the way most kids who later become best friends meet- not liking each other. A snowball in the face is perfect beginning to a lasting friendship. Children are children and even worst of the wars, the crassest of the cruelty cannot take away the little joys of the childhood. Rudy keeps on pestering Liesel for a kiss, and amid pulling her leg, playing football, facing the Nazi directives and a ruthless war, they grow friends. Her book is then discovered by her Papa, Hans Hubermann. They both decide to read it together. Hans Hubermann as the author tells in the beginning is an ordinary painter and better than ordinary accordion player. He is not a reader. But then, he starts reading with his foster daughter. The find solace in words. He becomes the first comrade of the girl who will soon be called by Death as The Book Thief. Himself not much educated, he teaches her words, on the walls of the basement. In words they find solace. In a world where lies are abound, minds are not free, words are the only salvation. The best way to kill free thought is the maim and kill literature. Germans of the time, write Markus, loved to burn thing. Shops, synagogues, Reichstags. Houses, personal items, slain people and of course, books. They enjoyed a good book burning all right. In times as such, the father –daughter duo set on the journey to search hope in words. The father sells his much loved cigarettes to buy her books. Then Liesel takes to steal books from the Mayor’s library as she goes there to deliver the laundry, Rudy Steiner- her partner in crime. 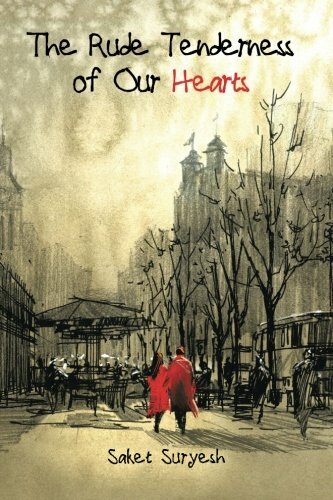 In a world floating between innocence and crime, enter Max Vandenberg, the son of Hans Hubermann’s army friend and his accordion teacher- A jew. Max was a fist-fighter before the absolutism of Nazism clouded the whole nation. The brave fist fighter, whose courage, the narrator, death calls stupid gallantry, melts away in time of unimaginable state sanctioned hostility as in the basement of 33 Himmel Street, Max Vanderburg could feel the fists of an entire nation. Hans takes him in and puts him in his basement. A sacred friendship grows between the father, the daughter and the fugitive. As they say crisis brings out the best and worst of the people as death would say later, “I’m always finding humans at their best and worst. I see their ugliness and their beauty, and I wonder how the same thing can be both. We discover the dormant kindness of Rosa Hubermann who takes care of Max, serving her infamous dull soup, through Max’s sickness. Once Max wakes up from his sickness, she rushes to Liesel’s school to tell her, in her voice like needle and thread. ‘He woke up, Liesel. He’s awake. It is in such moments we get closest to our parents when we find that their old, tired cynical eyes can share our dreams. Liesel starts writing for him. In the end, as Death says about humans, they have a good sense to die. They all die, except for the book thief. Well, she does eventually, but not then. She is literally saved by words, as she sat in the basement reading her book. Rudy Steiner, Mama and Papa, Tommy Muller. All Sleeping. All dying. The innocence of Rudy Steiner, the little boy with hair the color of lemons doesn’t only pulls our heart’s strings in his death. He shakes death itself. Death says about him He does something to me, that boy. Every time. It’s his only detriment. He steps on my heart. He makes me cry. He misses his beautiful neighbor’s kiss and will not be able to call again, “How about a kiss, Saumensch?”. This constant phrase from the little boy, with independent, rebellious soul lies hanging for readers to hold on to their hearts, much like the famed, Jay Gatsby’s Old sport. Hans Hubermann’s soul whispers once, as Death would tell us, Liesel and my heart breaks as a father and as a reader and as a writer, as Liesel bends over her Papa’s dead body and says, “Goodbye, Papa, you saved me. You taught me to read. No one can play like you.” What her father left for her, we discover towards the end, when Liesel died many years later in Sidney. Death says, ‘The skue was the best blue of the afternoon. Like her papa, her soul was sitting up”. Isn’t this the best that we can leave for our kids, an upright soul which even in death, death finds sitting up? This is not a book which ends in sadness. It ends in hope as Max meets Liesel and they survive the disgusting turmoil of the history and years later die, having lived a fulfilling life, sitting up. I am glad I came across this book. You too would be. Must Read.